How to update a theme is the most frequently asked question. In this post we will talk about what you need to know and how it can be done. Before updating you need to check something. Please open the theme settings page and click on the information tab. 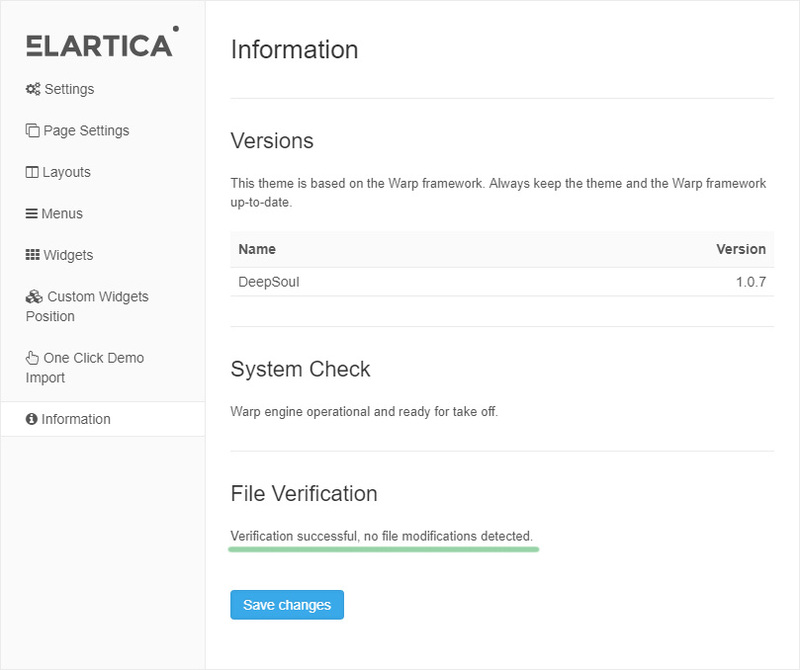 If you see message in the File Verification section that verification successful, no file modifications detected, this means that you did everything correctly and can update the theme. You changed one of default styles using a customizer. Please read how to use a theme customizer correctly? You customized your site and changed some theme files. Please read why you should use a child theme? After that, you need open the FTP client or the file manager plugin and replace all the theme files. 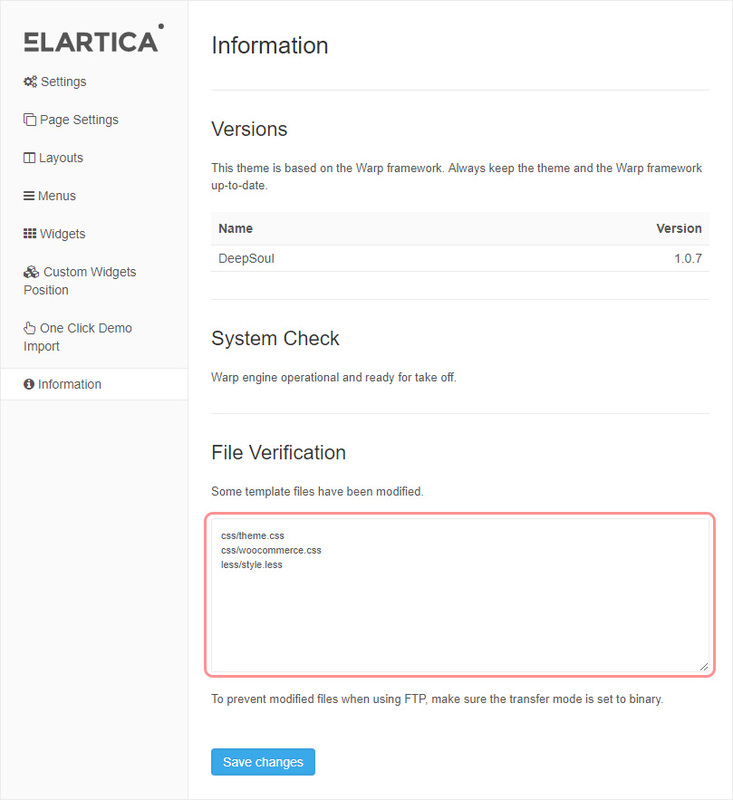 You must be cautious, if the file verification was not successful, you need to replace all files on themes, excluding those files that have been changed. If you have any problems updating the theme please let us know and we will try to help you. How to use a theme customizer correctly? Why you should use a child theme?